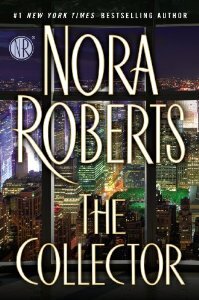 Welcome to NoraRoberts-Books.com! Where one fan shares her love for Nora's books so you can find almost all of her titles in one place! 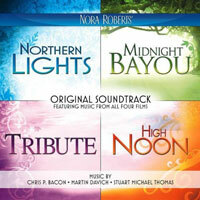 Are you a Nora fan? I am! 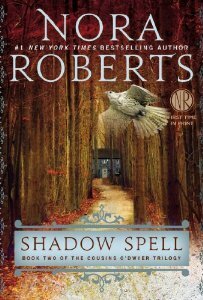 If there was every an author who could write like the wind...he he he...that would be Nora Roberts. She's an amazing author, and one of my all time favorites. For that reason, I own over 100 of her titles and why I've created this site to help share her work with others. You may also want to visit my blog to find out more about upcoming releases. I try to post information there. I also have a long-running 'Nora By Year' posting that lists all the books Nora put out in a given year. NOTE: If you click on the title, it will take you directly to Amazon where you can read more about the book and add it to your own collection! 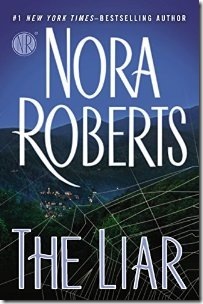 The Liar — Available now! Stars of Fortune — Available November/December 2015! Multiple Reissued Books - All Under One Cover! Cilla McGowen is the granddaughter of Hollywood legend Janet Hardy and the daughter of a Hollywood wannabe. She was a child star with her own series, but when the series ended and voice overs and bit parts didn't interest her any longer, she knew she wanted something more out of life than the flash and burn of Hollywood. So she went to college for a semester, then got married and subsequently divorced (even though her exhusband and her are still best friends). Now, when Dilly, Cilla's mother, needs money to get a show together, Cilla offers her the money for a piece of family property located in the Blue Ridge Mountains. Dilly begrudgingly takes the money and hands over the unmaintained property. Ford Sawyer, the neighbor across the road, meets Cilla and can't quite shake the feelings he has for her. Ford and Cilla start getting together when the accidents start and he tries to help her solve the mysterious death of her grandmother, and find out who is trying to run her off from Little Farm in order to keep the secrets hidden. 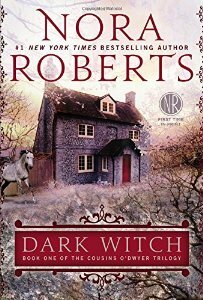 This is a good book for curling up with and having a nice cup of tea, it's not my typical murder mystery but it really has substance and feeling, I will keep it with my growing collection of Nora Roberts books. It has kind of a homey feel to it. 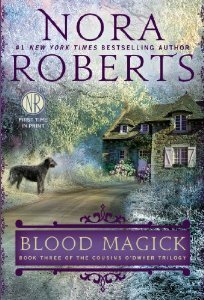 Ghosts, a century old scandal, and a sweet romance thrown in...the final book in Nora Roberts' In the Garden trilogy has it all. Hayley Phillips traveled to Memphis, pregant and alone, to start a new life for herself and her unborn daughter after the death of her father. She left what she knew for the unknown. She took a chance on asking a distant cousin, Roz Harper, for help (a place to stay and a job) and ended up finding the love of a lifetime in Roz's son Harper Ashby. Megan O'Riley never planned to give her heart to another man after the father of her nine year old son seduced, impregnated, and then abandon them to marry his fiance. While Megan hadn't known about the other woman at the time, she still harbors shame at being the other woman. Years later, she's smarter, no longer an inexperienced seventeen year old girl. But when she meets Nathanial Fury she's still--understandably--a little reluctant to give in to her feelings. The rush of overwhelming emotion is hard to ignore, however, and they inevitably work their way through her shields. 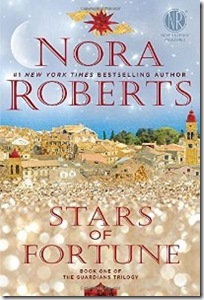 Order Stars of Fortune now! Pre-Order Bay of Sighs now! Harlequin heard the cries of those with readers and have converted some of Nora's Harlequin/Silhouette Books into ebook format! Yea! Miss Nora's movies on Lifetime? A few of Nora's fabulous books were made into Lifetime original movies...but in case you missed them on TV they're available on DVD! Some of today's hottest Romance Novels at Amazon.com. Reproducing material from this site without permission is prohibited. BUT SHARE HER WORK WITH OTHERS...ONE FAN TO ANOTHER.